Does your home offer any of the perks some buyers will pay more for? For most Americans, their home is their most important financial asset. But in the past, homeowners only knew how much it was worth when they bought or sold their home. To understand how much your home is worth, it’s important to understand the variety of factors that go into assessing the value, both existing (assessed and appraised) value, as well as potential real value on the market. Thousands of data points correlate with home values and sale prices — some of which are obvious (like the condition of the home), and some that aren’t so obvious. Here are several surprising things that can affect either the existing value of your home or the price someone is willing to pay for it, all based on data. How far do you have to drive to get a Frappuccino? If the answer is “not that far,” you’re in luck. A 2015 Zillow report found that, between 1997 and 2014, homes within a quarter-mile of a Starbucks increased in value by 96 percent, on average, compared with 65 percent for all U.S. homes, based on a comparison of Zillow Home Value Index data with a database of Starbucks locations. To evaluate if this effect is isolated to Starbucks, or if it extends to other caffeine purveyors, the research team also looked at another coffee hot spot (one with particular pull on the East Coast): Dunkin’ Donuts. The analysis of that data showed that homes near Dunkin’ Donuts locations appreciated 80 percent, on average, during the same 17-year period — not quite as high as homes near a Starbucks, but still significantly above the 65 percent increase in value for all U.S. homes. Beyond America’s obsession with lawns and all-around “curb appeal,” what’s inside your house counts a lot, too — especially the colors you’ve painted the rooms (particularly the kitchen). 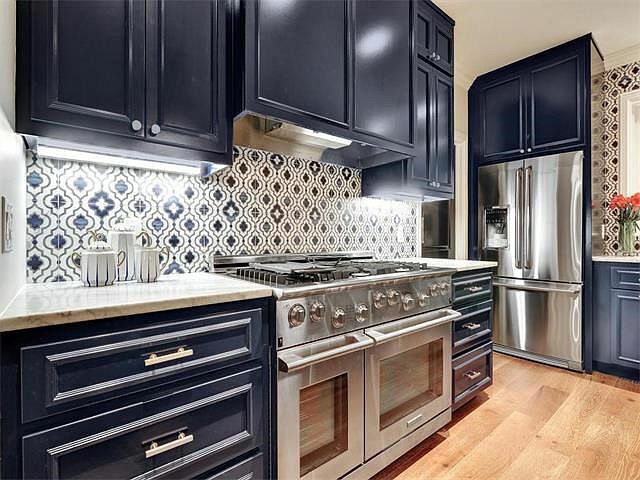 According to Zillow’s 2017 Paint Color Analysis, which examined more than 32,000 photos from sold homes around the country, homes with blue kitchens sold for a $1,809 premium, compared to similar homes with white kitchens. Blue is also a popular bathroom shade. The same analysis found that homes with light pale blue to soft periwinkle blue bathrooms sold for a whopping $5,440 more. Walls painted in cool neutrals like blue or gray can signal that the home is well cared for or has other desirable features. Joanna Gaines’ aesthetic is permeating more than just your YouTube search history. 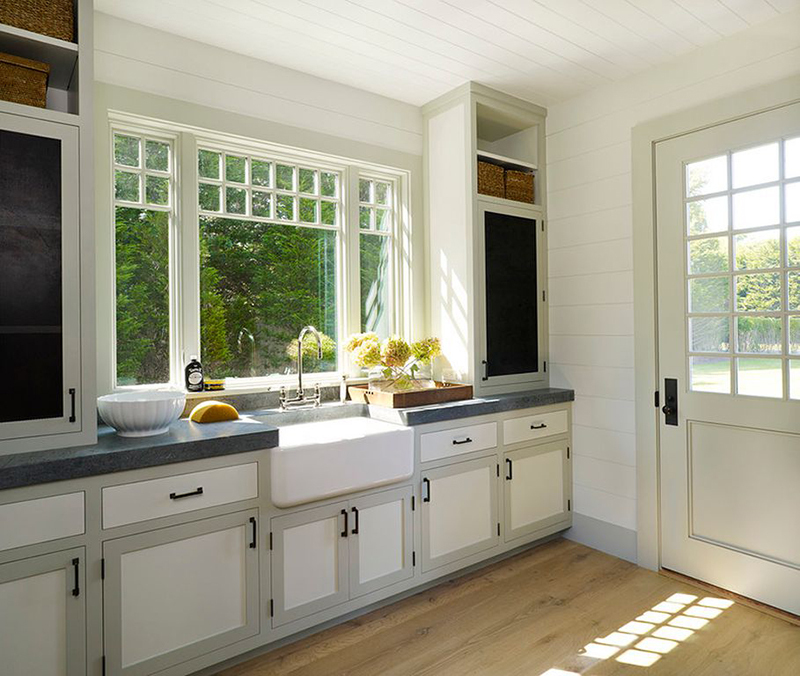 Zillow listings mentioning some of the shiplap queen’s favorite features — keywords like “barn door” and “farmhouse sink” — sell faster and for a premium, according to a 2016 analysis of descriptions of more than 2 million homes sold nationwide. Listings with “barn door” in the description sold for 13.4 percent more than expected, and 57 days faster than comparable homes without the keyword. Meanwhile, listings touting “farmhouse sink” led to a nearly 8-percent sales premium. This “barn door” effect doesn’t seem to increase the value of the home off the market, but is seemingly due to the popularity of this style at the time of the analysis. Sellers can use the listing descriptions to highlight trendy details and features that might not be noticeable in the photos. If you own a home in a major metropolitan area in America, you’re most likely sitting on a significant (and rapidly appreciating) financial asset. Case in point: Home values in the New York, NY metro area are worth $2.6 trillion, per a recent analysis — which is more than the value of the entire French economy. 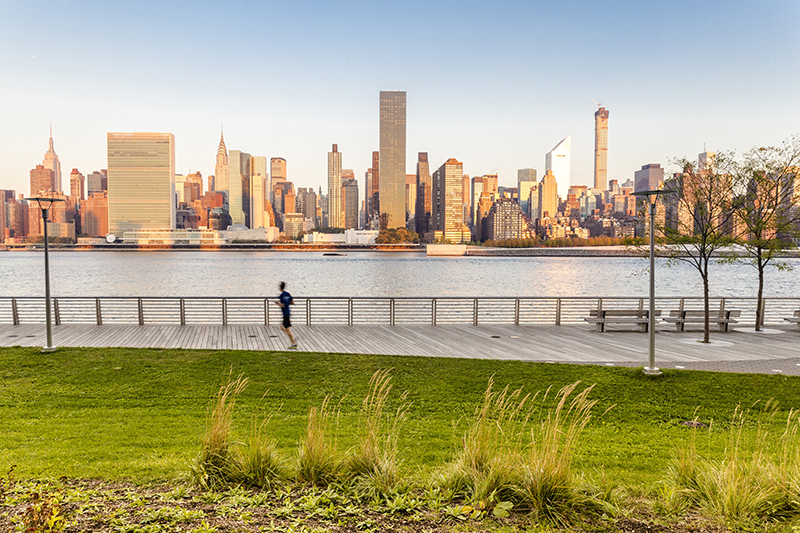 Long Island City, Queens. Photo courtesy of ShutterStock. The average urban home is now worth 35 percent more than the average suburban home. Since 2012, the median home value in urban areas have increased by 54 percent, while in suburban areas the median home value is up 38 percent. This entry was posted in Blog on May 8, 2018 by James Silver.